When you install a rooftop solar system you strike a blow for your energy independence. With electricity costs rising over the last few years, many households and businesses are finding that creating their own electricity makes all the difference to energy affordability. But not everyone can readily find the money to install their own solar power system, despite equipment prices continuing to drop. So because some of us are missing out on this free, clean source of power, councils and community solar organisations have started solar bulk buy programs with solar installation companies to help people with the cost of installation. Councils and solar allied community organisations also offer advice to residents, which can be extremely helpful when you are faced with a bewildering array of solar panel choices and don’t know where to begin. When it comes to bulk buy programs, each council has its own way of doing things. Council may pay outright for the solar installation, then expect to be paid back by the householder over a number of years. In some cases, repayments can be added to the householder’s council rates. On the other hand, council may offer no upfront funding, but may have an arrangement with a solar installer to offer residents cheaper than usual prices on installation. A council-recommended installer will be vetted to make sure they are reputable and offer good service. Most councils have a tender process to assess these solar installer before making a decision about which one to recommend. This takes a lot of stress out of the decision-making process for residents. Being part of a council program gives householders more than just a better price. Councils are obliged to make sure that solar installers they recommend are accredited by the Clean Energy Council (CEC). CEC Accredited installers are bound by a Code of Conduct that gives customers ethical service. You may be surprised to find that your own council offers support for solar installation, or that a community organisation exists to help you. That’s why we’ve compiled this directory of council and community-run solar assist programs to help you buy a solar system and start saving money on your power bills. Click below to find out more about your area’s bulk buy and advice services. “The Solar Saver program is where council buys solar panels and then the rate payer or resident repays the total cost of the system installed over ten years. Council enables people to repay for the system out of the savings made on their electricity savings, and pocket a bit more as well." 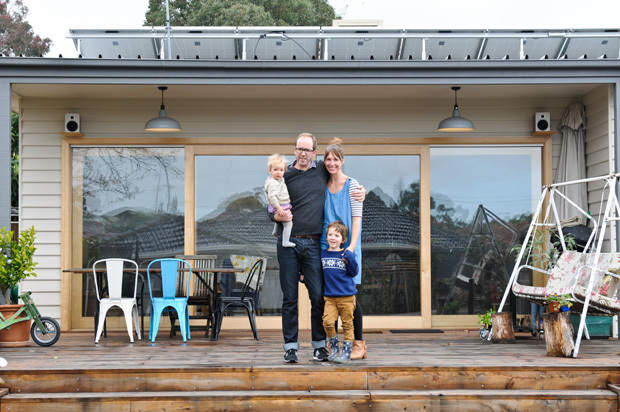 "There’s lots that people can do to retrofit, even outside by putting solar panels on. They can also buy green power. We can advise people on a range of things, whether their incentive is saving money or reducing carbon emissions." "I think people want trusted advice. People tell us that they love the fact we’re not for profit and we’re supported by councils. They don’t have the knowledge or the time to do all that research themselves."